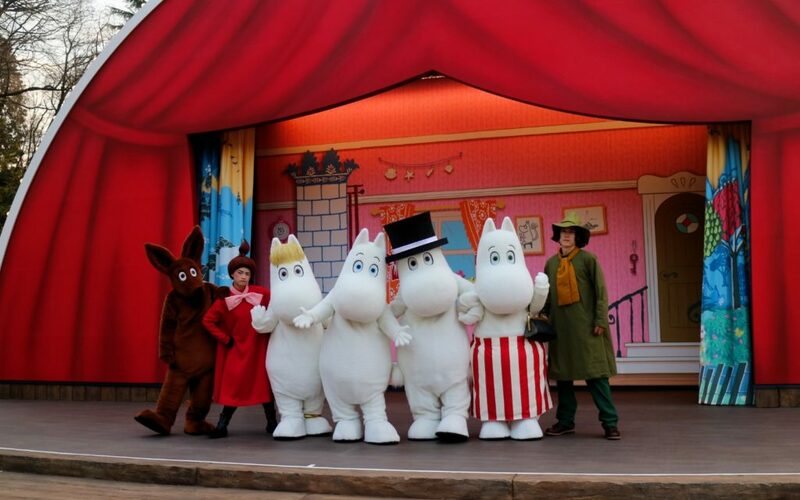 A brand new Moomin theme park has opened its doors in the idyllic village of Hanno City, Saitama, on the 16th of March. Located next to Metsa, a Nordic-style lakeside forest facility and an homage to all things Scandinavian that opened back in November 2018, Moominvalley Park is the first of its kind outside of Finland. 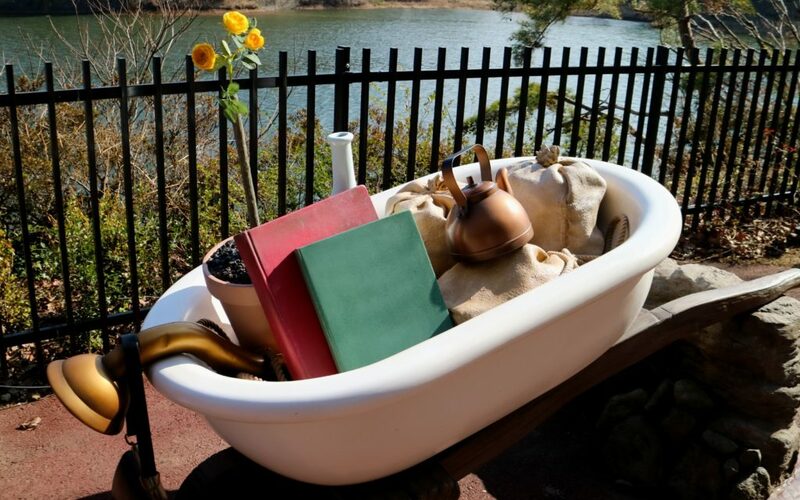 The new park offers a magical immersion into the beloved stories created by the late Finnish-Swedish writer and artist, Tove Jansson (1914-2001). According to Jansson’s stories, Moominvalley is home to the Moomins, a family of white and round hippopotamus-like characters, alongside their eclectic group of friends where they live a life of adventure in harmony with the beautiful natural surroundings. 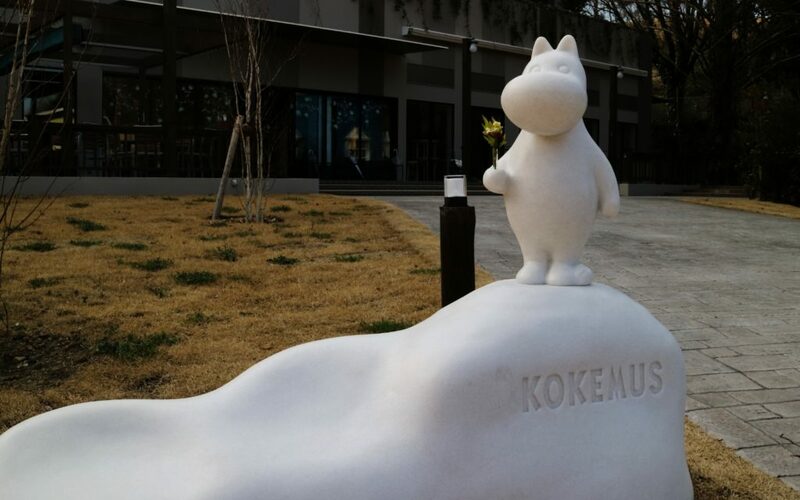 The real-life Moominvalley Park has been meticulously designed to recreate the Moomin universe — giving us all the Finnish feels right here in Japan. 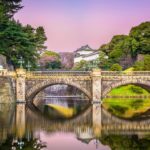 The park area is spread out around the serene Miyazawa lake and can be separated into three (unpronounceable) parts: Poukama, Muumilaakso and Kokemus, and Yksinäiset Vuoret. Here’s what you can see and do in each area. 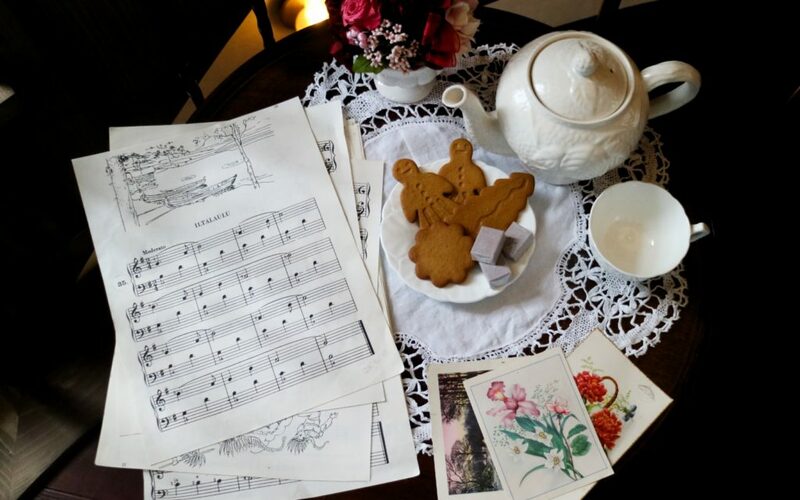 Poukama: Moomin greetings, and pancakes! Poukama is where the story begins and is the entrance into the Moominvalley Park. To get to Poukama you will first need to walk through the Metsa Village and follow the path alongside the lake. The entrance to Moominvalley Park. You’ll know you’ve arrived when you find the large book gates that represent the original Moomin stories and pass the art decorations created by Hanno City’s elementary students. After entering past the book gates, the Moomin world will roll out before you like a scene straight out of a fantasy movie. Moominvalley Park is spread out across different areas. A Moomin merchandise gift shop and special Moomin pancake cafe, Lettula, can also be found at Poukama. The gift shop is a great way to pick up adorable Moomin souvenirs on your way back home. Each of the delightful menu options is inspired by the Moomin world and created with a combination of traditional Nordic and local ingredients. The most popular item on the menu? 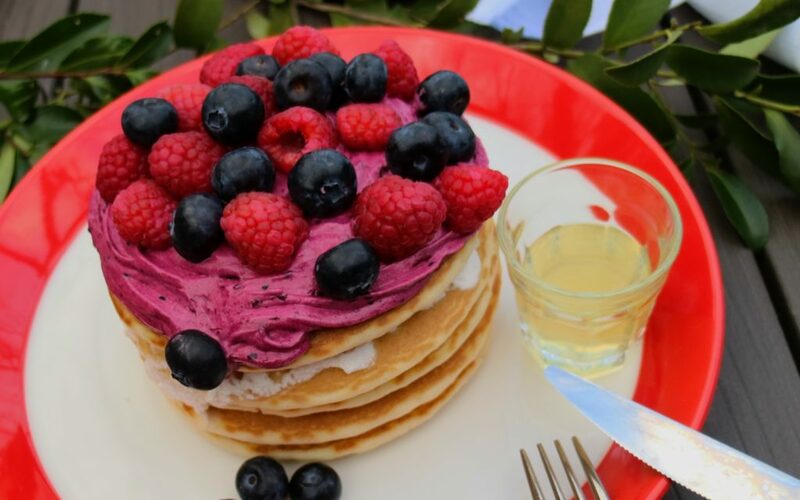 The “Berry Berry Lettula,” a stack of fluffy pancakes covered in fresh berries and a berry cream. Continue walking down the path to get to Muumilaakso, the main area of the Moominvalley Park. You can experience a wide variety of Moomin fun here. Interact with different games in Muumilaakso. Watch Moomin and friends perform a live show at the Emma Teatteri theater; tour around the Muumitalo (Moomin’s House) and interact with the hidden wonders inside, or watch a 4D digital morphing Moomin show at the Merenhuiske theater for a unique sensory experience. 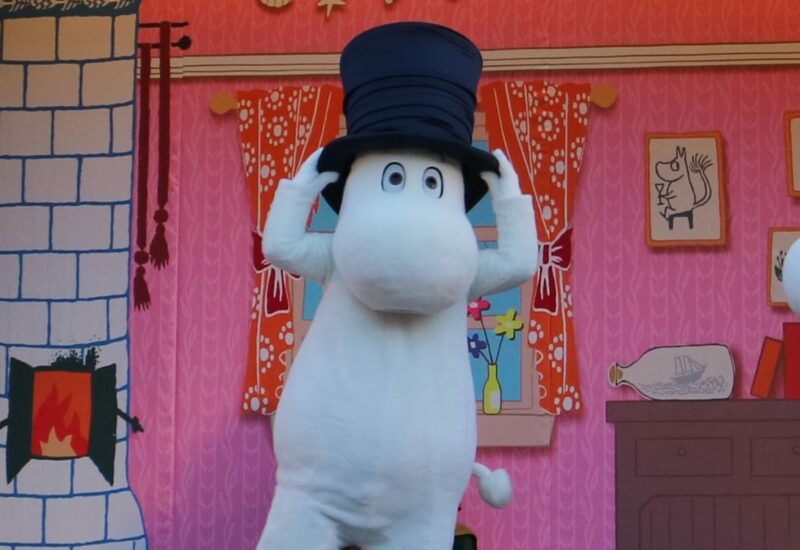 You can even become a Moomin extra and feature in the story film of mischief Little Mii at the Pikku Myyn leikkipaikka, or get a professional photo taken with Moomin at the Muikku Foto Studio. Tour inside a Moomin house. Kokemus can be found in the corner of Muumilaakso and is a three-story-high exhibition facility with a gift shop and restaurant. 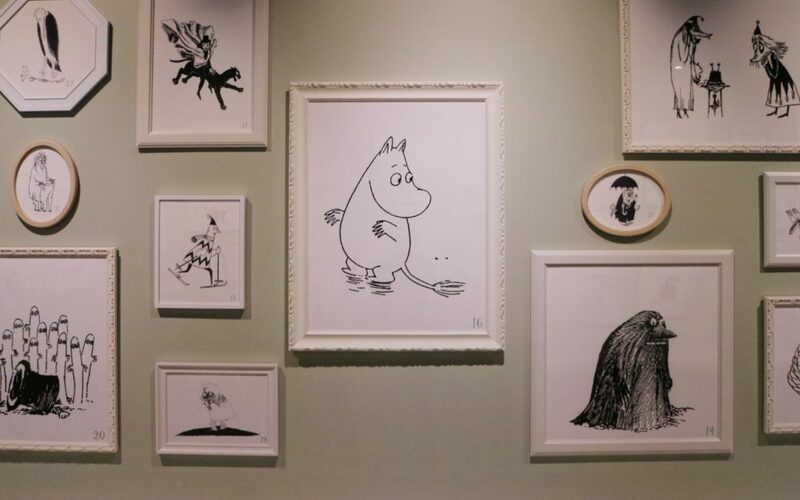 Walk around and learn about the history and creation of the Moomins through interactive exhibits. Go behind the scenes of the Moomins. The restaurant Muumilaakso Ruokala serves up a variety of Nordic menu options that are also visually inspired by the Moomin stories. See original drawings from the stories. Yksinäiset Vuoret is the most adventurous area of the park. 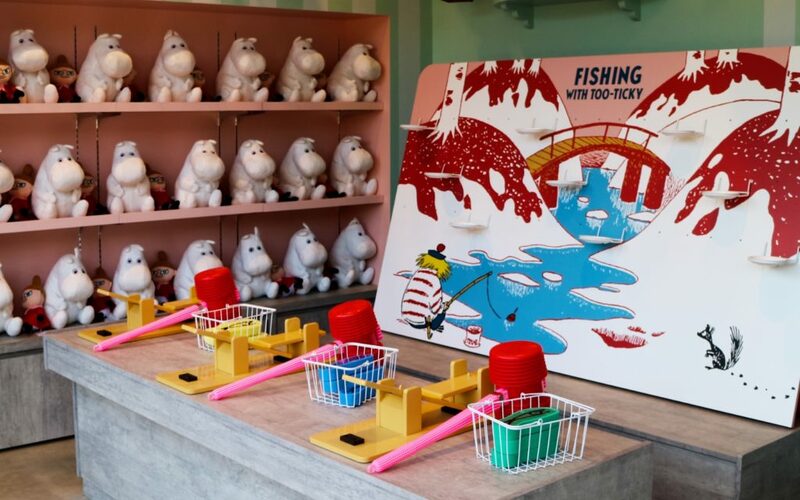 Walk around and discover characters and items of the Moomin world. If you need a break from all the cuteness, take a seat on one of the wooden benches, carved with phrases from the Moomin stories. 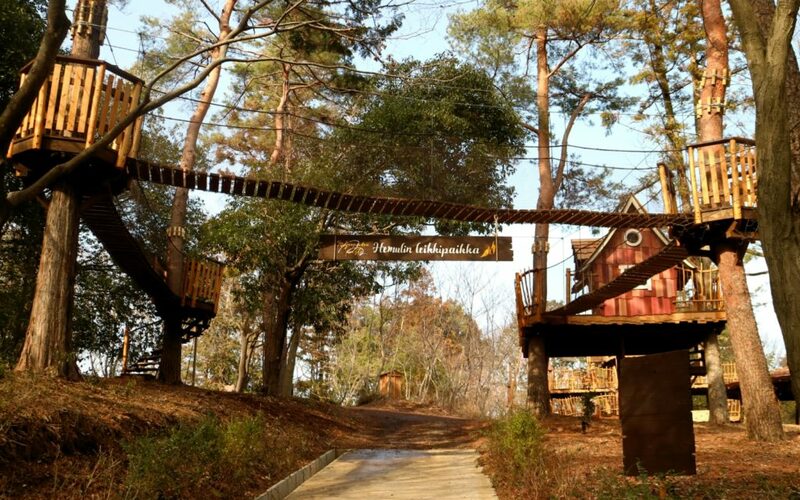 Climb the “Osabisiyama” mountain and find the Moomin treehouse and playground where kids can run around and play to their heart’s content. For the brave-hearted, there is a zip line that flies across the lake and back. Immerse yourself in the whimsical Moomin universe. 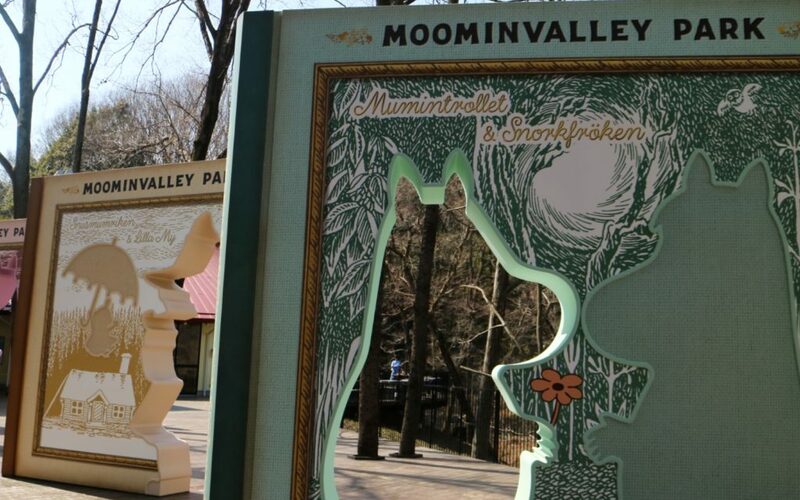 Fan or not, with several attractions, exhibitions, gift shops and delicious menu options based on the original stories, Moominvalley Park is a delightful way to experience the magical world of the Moomins in a tranquil and beautiful natural setting — just as Jansson might have imagined. If you’re traveling from Tokyo, the fastest way to access the Moominvalley Park is via the Seibu Red Arrow Limited Express train from Ikebukuro Station which takes just 40 minutes to Hanno Station. From Hanno Station, you can either take a taxi (10 minutes) or take the direct bus bound for Metsa outside of Hanno Station’s north exit (15 minutes). Buses leave approximately every 15 minutes. You can check the timetable here. For those traveling by car, there is a parking lot at the Metsa Village which can be reserved in advance via the official website. 10 a.m. to 8 p.m., daily. 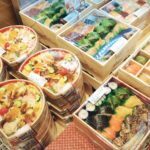 50 minutes from Ikebukuro Station via Seibu Red Arrow Limited Express. Then take a bus or taxi to the park. Adults: ¥1,500 | Children: ¥1,000 (Free for under 3's). Extra Fees include the 4D Ocean Orchestra (¥1,000), Little Mi's Play Spot (¥700), Zip Line (¥1,500) and the Moomin House Tour (¥1,000). The Seibu 1Day Pass is a discount train ticket which allows unlimited rides on all Seibu trains (excluding the Tamagawa Line) in Tokyo and Saitama for only ¥1000. 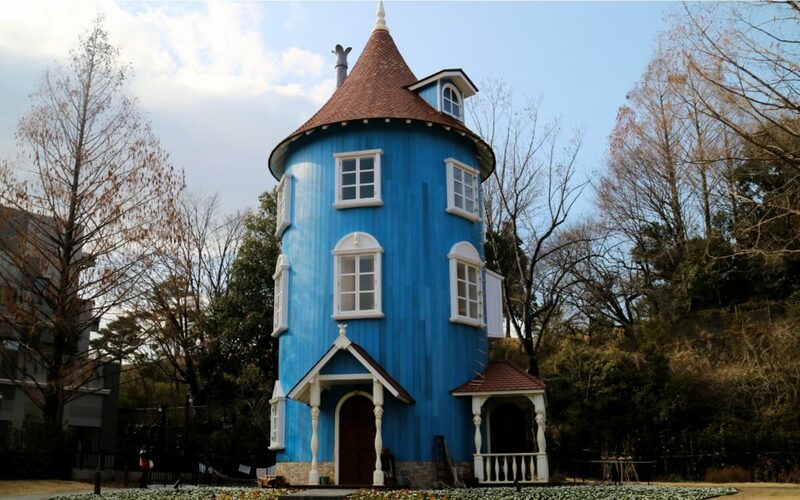 Hop on and hop off the train wherever you like as you travel to and from Moominvalley Park — Saitama is known for its many outdoor adventures and it’s just starting to be the perfect weather for it! Got more time? You can make a two-day trip out of it and use the 2Day Pass (¥2,000) to explore all the way to Chichibu to experience the stunning shibazakura (pink moss phlox) flower festival taking place from April 12 to May 6, 2019. 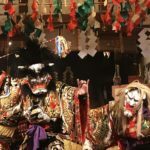 There’s a couple of nice ryokan (Japanese traditional inns) in Hanno, camping further out in Nagatoro and hotel options in the nearby historical town of Kawagoe. 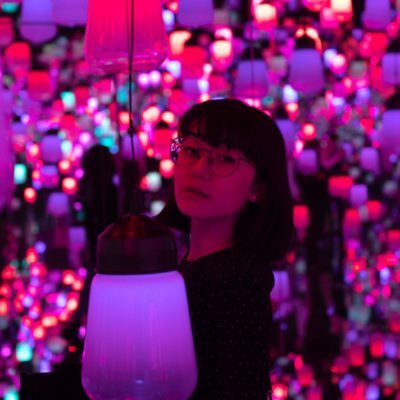 Living in Japan to embrace my second culture.